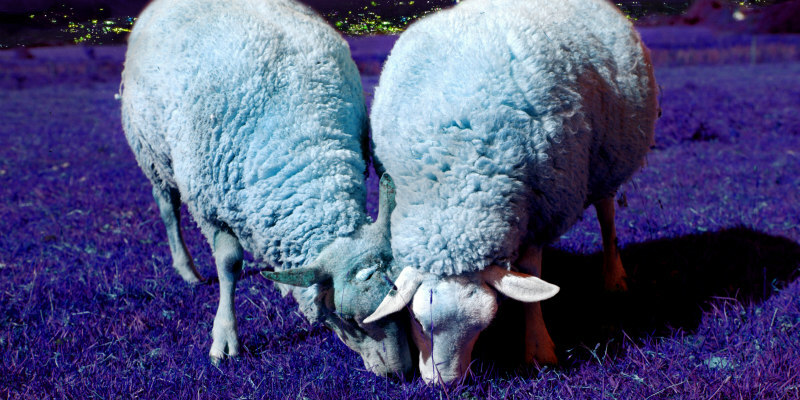 Watch The Trailer For BAA BAA LAND, "The Dullest Movie Ever Made!" An eight-hour slow-motion film with no plot, dialogue or actors has unveiled its trailer and poster. 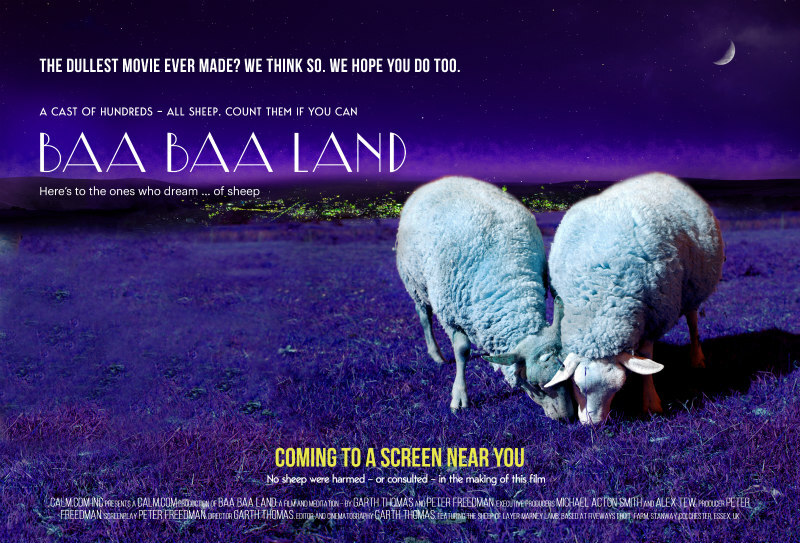 Self-proclaiming your movie "the dullest ever mad" may seem a strange way to promote your film, but's the approach adopted by those behind Baa Baa Land, an eight hour non-epic entirely starring sheep. The film will premiere at the Prince Charles Cinema in London’s West End this September, on the same date [to be announced] that Calm.com, the California-based meditation app that produced it, premieres it online for a global audience. Despite its extended running time, Baa Baa Land is merely the nineteenth longest movie made to date. The record is currently held by Logistics, a Swedish art film made in 2012, and lasting 857 hours or 35 days and 17 hours.